In these hectic days it is more important than ever to shake off the stress of the day at work and to find calmness and serenity in the evening to ensure for a good sleep. But pharmaceutical soporifics burden the body chemistry, so why not grow your own natural sleeping aid? 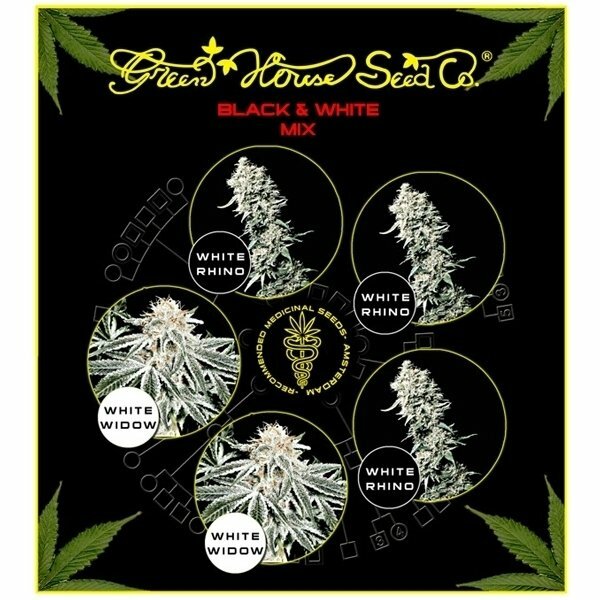 This mix contains: White Rhino (3x), White Widow (2x). We are living in a hectic epoch these days and it is more important than ever to shake off the stress we take home from a hard day at work. But pharmaceutical soporifics burden the body chemistry, so, in order to find calmness and serenity in the evening to ensure for a good sleep, why not grow your own natural sleeping aid? White Rhino is a short, sturdy, round and bushy plant with strong branches - the typical appearance of a mostly Indica strain. Grown indoors she has reached full maturity after 9 weeks of flowering. Albeit she is a rather small plant, she is able to achieve yields of up to 900g/m². 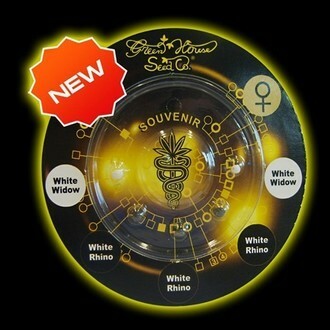 And White Rhino also shines when it comes to the potency of the product - 20% of the yield are THC and about 0.1% CBD. The high is a relaxed, very creative and social experience, but if you smoke too much of this weed, you will soon become slumberous. White Rhino is the ideal choice for a fat blunt or bong late in evening or at nighttime, when you want to find rest. White Widow is doubtlessly one of the most legendary cannabis varieties of all times - and she really deserves her reputation. She was created by crossing a South Indian and Brazilian strain and is famed for her incredible resin production and strong punch. White Widow exhibits the growth structure and appearance of a Indica, but her flowering period lasts slightly longer than you'd expect from a typical Indica - expect 8-10 weeks until she reached full matureness. She performs particularly well in a hydroponic system and has the potential to produce yields of up to 800g/m². The buds contain 18% THC and cause a fast-hitting and long-lasting, very relaxing high.